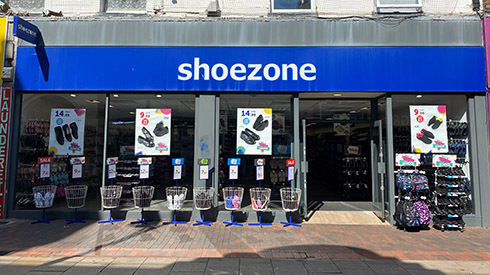 I had a lovely shopping experience i have been in a few times to see the fashions and different styles of shoes especially the boots but ashame that some of the calf length boots dont fit wide calfed calfted people like me my calfs measure 42cms would really love shoezone to have that size calf boots. But over all love shopping in shoezone when i need work shoes or any sort of shoe for the weather changing and work. The staff were very friendly and had a chat with me and helped me find exactly what I was looking for. fab service, lovely lady who served me, very talkative and helpful, great product as been searching for some sandals for my young son for a while, brilliant!